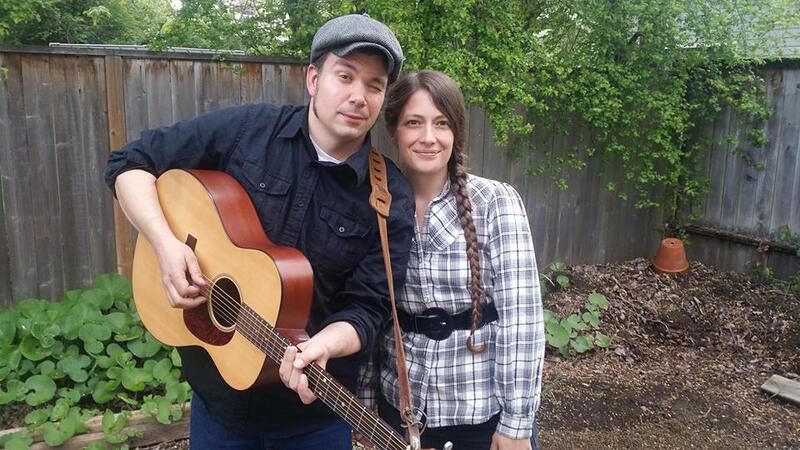 Kate Downing and Nathan Moore, AKA Monday Morning Denial, are a folk music duo featuring husband-and-wife songwriters. Avowedly working-class in allegiance and radical in their politics, they craft songs that champion the struggles of everyday people to make the world a better place. Since 2007, Kate and Nathan have been the main songwriters in the “underdog folk” band Low Tide Drifters. They have performed everywhere from folk festivals union halls, released two full-length albums, and their songs have gained national and international radio airplay. As activist-musicians, they have also performed at numerous fundraisers for labor unions, human rights groups, and other community-based organizations.